To speed up implementation of Network Rail’s Digital Railway additional project funding of £450 million has been included in the Autumn Statement presented to the UK Parliament on 23 November 2016. The half yearly review is an opportunity for the Government to provide an economic update which assesses trends in taxation receipts and spending. With the Department for Transport providing significant financial support for rail investment and operations it is an opportunity to make changes in the light of results. Rail funding is organised in 5-year control periods and at present the industry is mid-way through the 2014 to 2019 determination when expenditure by Network Rail of £38.3 million was approved. Taken as a whole train operating companies no longer receive financial support as premium payments made by long distance and most operators in London and the South East exceed the support payments made to regional operators. The evaluation of NR financing requirements has not been successful in the current control period. The Strategic Business Plan which reflects the cost of required projects as well as a forecast for current expenditure was calculated by NR to require overall funding of £40.1 billion. This was reviewed by the Office of Rail and Road (ORR) who imposed an efficiency target of £2 billion which was focussed on the £23.2 billion cost of Operations, Maintenance, and Renewals (OMR) activity required to run the network on a day to day basis. NR did not accept that this budget was attainable given a 4% growth in passenger number and a requirement that the condition of the network should allow an overall Passenger Performance Measure (PPM) of 92.5%. It is now apparent that reduced spending is resulting in asset failures that have caused the PPM to fall on many routes. Much of the planned reduction in costs required the use of digital technology to reduce signalling and control spending but because of the cost over-run of other projects implementation has been much slower than planned and abandoned in a number of areas. The injection of additional funds will allow momentum to be regained. Despite the cutback in the scope of electrification projects an NR funding shortfall of up to £2 billion has emerged and more cuts to the programme have been made to the Great Western wiring scheme which will now not reach Bristol Temple Meads or Oxford until after 2019. A postponed project that has been revived as a result of £100 million of money being provided in the Autumn Statement is the East-West link which will initially connect Oxford with Milton Keynes and Bedford. £10 million has also been allocated to refine the route options to reach Cambridge as much of the original trackbed has been lost. 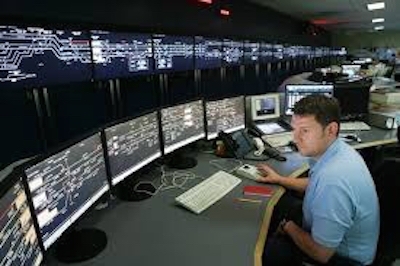 There is much FCP can do to assist infrastructure providers and train operators in prioritising actions to improve performance which is evidenced by many assignments undertaken for a range of clients.